Quickly diagnose problems with all ignition systems. 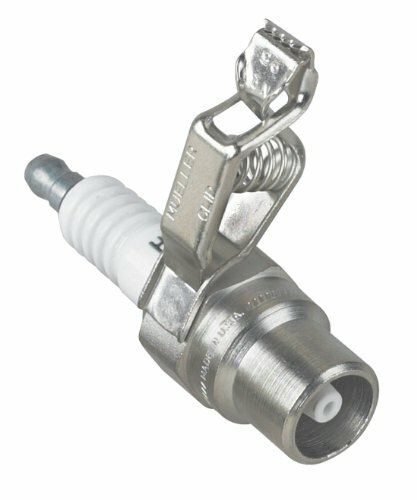 Connect the tool between the spark plug and the plug wire. The tool is double-ended to offer a straight boot and a 90 boot on one tool. With the engine running, the tool flashes a mirror image of ignition spark. Worth it's weight in gold when a 2- or 4-cycle gas engine won't start, because the first thing you need to determine is whether the problem is no-spark/ignition or fuel supply/mixture. We were fooled ONCE into using a screwdriver to make the spark jump from the cable; DON'T try that at home - it hurts! 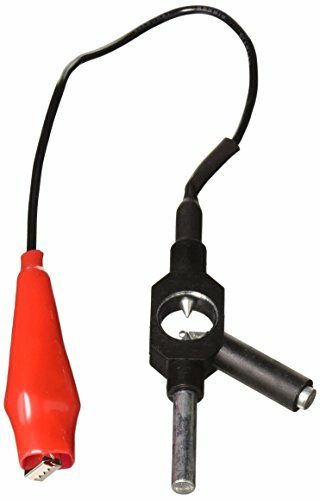 This great little tool is the no-shock way to get the answer on ignition in about 30 seconds - BEFORE you work yourself to heart-attack stage pulling the rope on your lawnmower/chainsaw/snowblower or burning out the starter. Especially useful since many small engines now have low-oil cutoff or other ignition breakers. 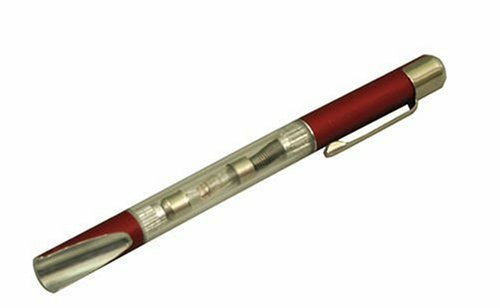 Rust-resistant chrome steel shaft, virtually unbreakable polycarbonate body and flexible rubber boot & cable. Internal bulb will last for years but is replaceable if necessary. Dimensions: 6" boot/cable, 5" shaft/light housing; 2.2 oz. Universal fit for all 2- or 4-stroke, single or multi-cylinder gasoline engines. 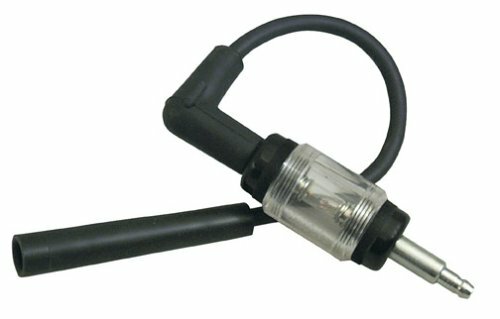 SGT36350 Features and Benefits: -Use to test spark plug circuits, electronic fuel injection signals and idle air control circuits. 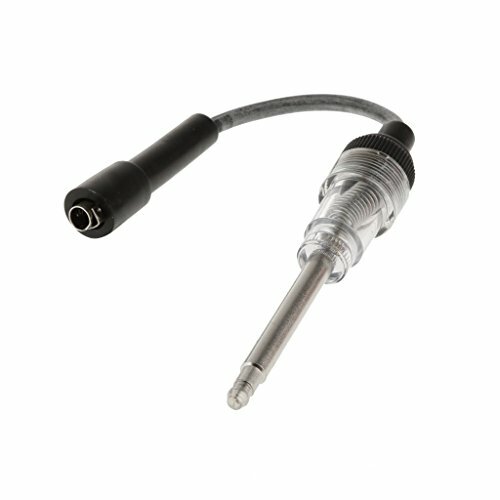 -Includes SGT23970, In-Line Spark Checker Kit for Recessed Plugs. -8 Noid lights for checking GM PFI, Ford TBI, GEO TBI, BOSCH PFI, GM TBI, GM SCPI, BOSCH 2 and GM MULTEC 2. 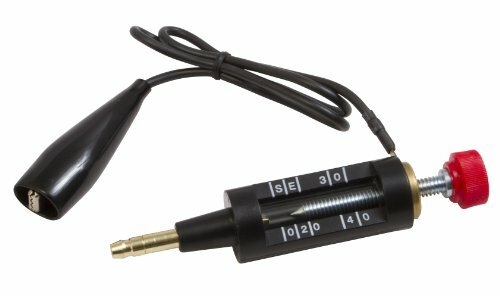 -2 IAC Test Lights for straight and 90 degree applications. -Quickly diagnose "no start" and engine misses conditions in the electrical fuel injection and spark plug circuits. Analyze rough running engines. 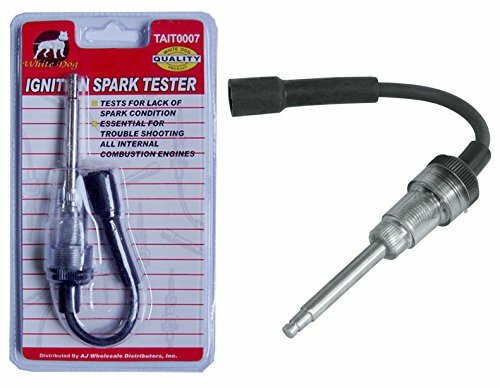 The SGT23970 is a must for testing newer vehicles with recessed spark plugs. 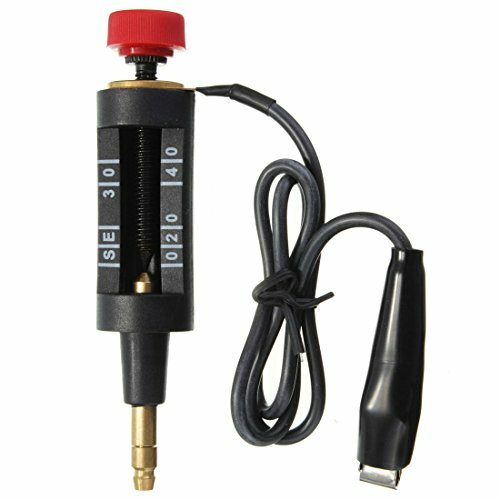 Can also be used to test conventional and coil-on plug ignition systems. 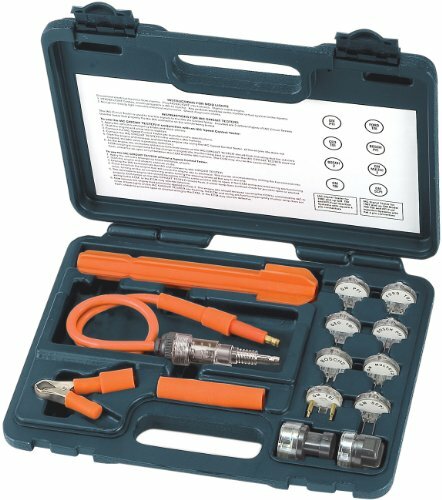 -In-Line Spark Checker for Recessed Plugs, Noid Lights and IAC Test Lights Kit.-Lifetime warranty does not cover abuse. 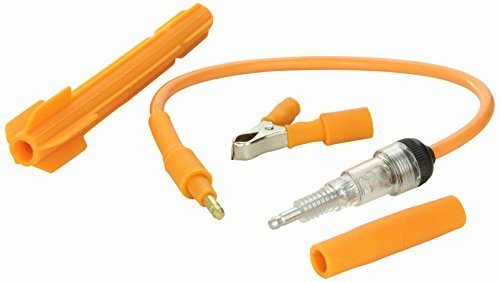 Lisle spark tester will test spark plugs, wires and coils without puncturing the wire. With the engine running, place the grooved end of the tool over the plug wire, the bulb will flash to indicate spark.